For caregivers and their babies aged 0-24 months. 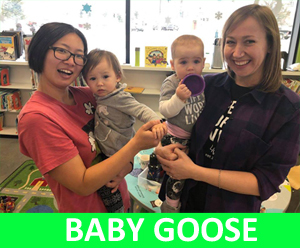 Join us each week to learn new songs and rhymes to sing together and to get to know other families with young babies, too. There will also be guest speakers joining us on a regular basis. A healthy snack will also be provided each week. For more information about this FREE program, please contact the library at 250-342-6416 or by email at publiclibrary@invermere.net.